5 Seconds Of Summer announce NZ + Australia tour dates for August 2018. In rather exciting news, 5 Seconds Of Summer have announced their long-awaited return to New Zealand this August 7th, where they’ll be playing an all ages show at Auckland’s Logan Campbell Centre as part of their Meet You There Tour. Tickets for the show will go on sale this Friday, May 25th at 2pm, with a special pre-sale which you access by pre-ordering the band’s upcoming ‘Youngblood’ album. A unique code will be required to access the presale - click here to order/access the pre-sale, which starts Tuesday May 22nd from 10am until Thursday May 24th at 10am. Tickets for the Australian dates will go on sale Friday, May 25th at 2pm (local time), with the fan pre-sale beginning Tuesday May 22nd from 10am until Thursday May 24th at 10am. 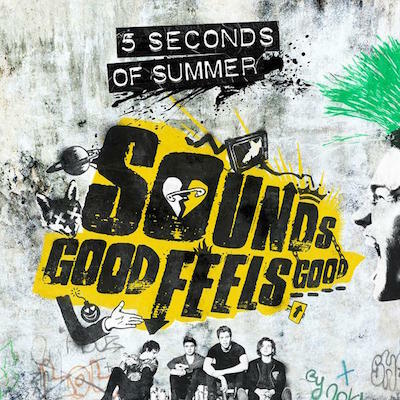 MusicListen to 5 Seconds Of Summer's album sampler. Music5 Seconds Of Summer - 'What I Like About You' music video. Music5 Seconds Of Summer - 'She Looks So Perfect' music video. Music5 Seconds Of Summer covering Blink-182's 'I Miss You'. MusicInterview: BFF with 5 Seconds Of Summer! Music5 Seconds Of Summer - 'Amnesia' music video. Music5 Seconds Of Summer - 'Want You Back' music video. Music5 Seconds Of Summer - 'Good Girls' music video. Music5 Seconds Of Summer announce new single 'Want You Back'. MusicEd Sheeran covering 5 Seconds Of Summer's 'She Looks So Perfect'.